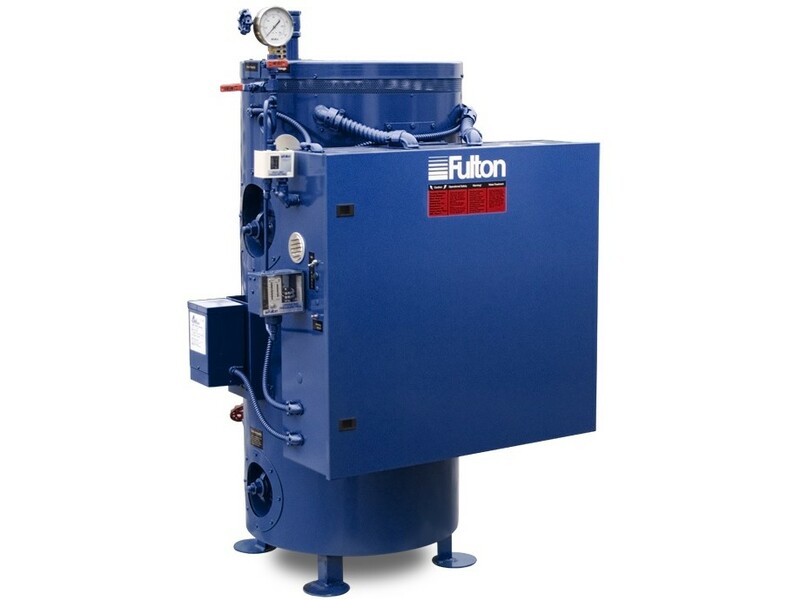 Electric Model FB-W Steam Boiler – Fulton Boiler Works, Inc.
Electric Model FB-L Steam Boiler – Fulton Boiler Works, Inc.
As far as residential and commercial heating are concerned, there are two main types of boilers: those that actually boil water and those that merely heat it. 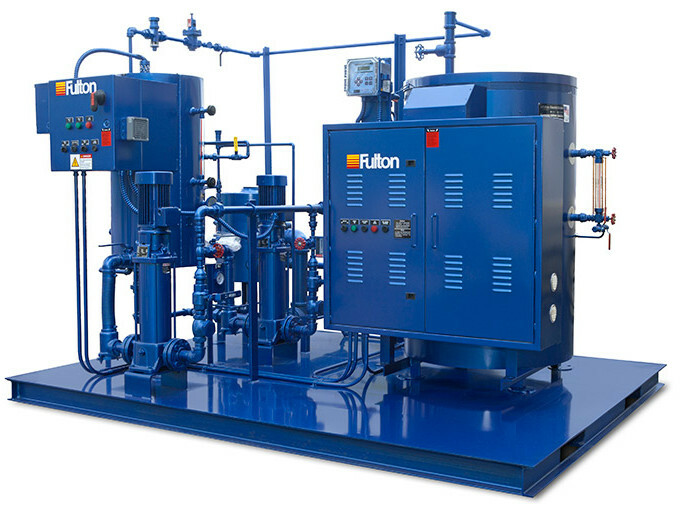 Boilers used to boil water can be used to heat buildings and to generate steam that can be harnessed and used in the performance of mechanical work by a machine. When such a boiler heats water to its boiling point, the steam produced is captured in a tank and is compressed there. When the steam in the vessel is sufficiently compressed, it is released through a valve. If the steam is being used to heat a building, it is distributed to radiators or other heat exchanging equipment that releases the heat from the steam into the air. If the steam is being used by equipment to produce work, it is forced into the machinery in whatever way is appropriate. Electric heaters are sometimes used for both purposes. In homes and businesses, electric boilers are prized because they are easier to clean than gas fired boilers. They can also be safer, as no carbon monoxide or other combustion byproducts are produced by electric boilers. In the case of water heating, more recent developments in electric water heater technology has allowed for more rapid heating and more consistent temperatures. Electric Boilers Electric boilers are equipment used to heat water for use in homes and businesses. Electric boilers are distinct from other boiler varieties in that they use electric heating elements as their means of heat generation; other methods involve the use of natural gas, wood, coal, oil, and other fuels in order to generate heat.